If your life is anything like mine, November and December are usually a blur. Every year I tell myself I’m going to be more organized, do better, be ready. And every year I fail. I tell myself, “This is the year we’ll finally do the entire Advent study.” And every year I fail. Even though I plan for us to do a lighter workload from Thanksgiving thru the New Year, I still feel like a failure. And unfortunately, that failure spills over to restarting our homeschool in January, which means my focus is just not there. Any time you take a break from homeschooling it can be difficult to get back on track and into your routine again. I don’t know if its the excitement of the season, being cooped up for the winter or just because we’re exhausted from all the festivities, but restarting homeschool in January is difficult. 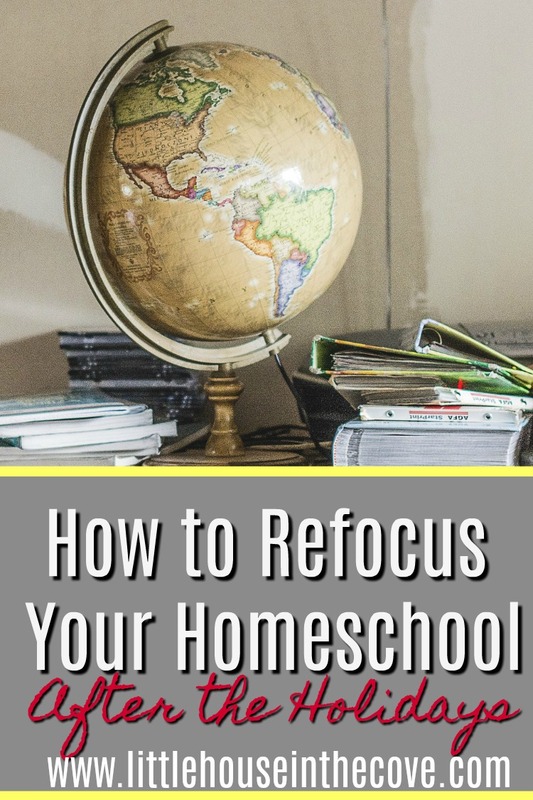 Rather than just restarting your homeschool, why not refocus your homeschool? Restarting implies that you will just “pick up where you left off” and do the same thing you were doing before. Refocusing means starting fresh and new. Maybe you need to refocus for your high schooler to have the credits they need or to help your little ones to experience something new. Whatever the reason, there are a number of ways you can refocus your homeschool in the new year (or anytime, really). Whether you need to add an elective or your kids have chosen a new subject they want to study, this is the perfect way to help you refocus your homeschool in the new year. Adding a new subject can help your homeschool seem fresh and new. That doesn’t always mean you need to eliminate something, but it can. As homeschool moms, we like to think we have it all together. But in truth, sometimes we choose a curriculum that just doesn’t jive with our kids. Changing up your curriculum between semesters is not always easy, but it can be a great way to refocus, especially if you struggled with it. Do your children have a hobby they enjoy? Why not make it part of your homeschool and help bring a new perspective? STEM and STEAM are very popular right now and a wonderful way to turn learning into a hobby. My children love doing LEGO challenges and creating their own experiments. So, finding a way to bring them into our homeschool is a fun way to refocus in the new year. 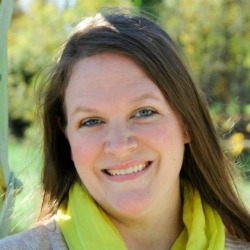 Have you ever restructured your homeschool? Sometimes you don’t need to adjust your curriculum, but just the schedule. Why not try moving your day around or doing the subjects in a different order? I have always been one that likes to do things in a certain order so I don’t forget or leave anything out. But, sometimes it can be refreshing to restructure. If you feel like something is “off,” why not try asking your kids! Yes, kids will do almost anything to get out of school work a time or two, but they can also have some great ideas. Ask them what they think needs to happen to help refocus their school time. It might be a new subject, adding a hobby or something you never expected! They can surprise you! Homeschooling after the holidays can be hard. It takes time to get back into your routine and get your kids back on track. But don’t mistake the difficulty of restarting with a need to refocus. Using these tips can not only help you refocus but can also help you finish strong.